When you think of Thanksgiving, the thought of oven-roasted turkey and creamy, buttery mashed potatoes probably comes to mind.  Well, the Kingsrow Blog is hoping to bring another image to mind: a messy apartment. While the holidays are great and fun, they also tend to be very busy. There’s food to cook, gifts to buy, and people to see. Sometimes all the busy and happy stuff makes us forget about cleaning. Tidying up might be the last thing on your mind — trust us, it happens to all of us. But if something as important as cleaning is set aside for a later time, sometimes it gets harder to actually get to it. The last thing you want is for guests to arrive and you have to spring into panicked cleaning mode. Today we’re sharing a few quick tips to help you speed through the cleaning of your Lindenwold, New Jersey apartment. This is by no means a guide for deep cleaning your apartment, which we recommend you do at least once a month, if not every few weeks. What we’re hoping for, however, is to help you cut your cleaning time down by over half, giving you more time to enjoy the holidays. When cleaning the living room, first look for things that don’t belong in the room and place them in an empty container, such as an empty or extra laundry basket so you won’t have to keep walking back and forth from room to room, putting things away. The couch comes next, followed by the coffee table or other furniture. With the couch, brush off the cushions and vacuum beneath and around them. Dust off the table, bookshelves, and lamps, then quickly vacuum the floor. This doesn’t have to be perfect, especially if you’re rushed for time. With the kitchen, begin the same way you did the living room. Do you see any items that don’t belong? Set them inside a container and get them out of there! Clear off and wipe the countertops. Then check the sink and table for any dirty dishes and take care of those — if you’re cooking, don’t worry too much about this. Your pile of dishes is only going to get bigger, so washing just a few dishes along the way can help lighten your load. Do a quick sweep and you’re done! If you have time, check the refrigerator for any expired foods (of course, this can be done during a deeper cleaning). When cleaning the bathroom, gather up the dirty towels into a hamper. Throw trash in your garbage bag. Then use the disinfectant spray on the counters, sink, and bathtub, wiping them down with the paper towels. For a complete bathroom cleaning checklist, see this 11-step guide by Real Simple. Once in the bedroom, place all dirty clothes into a hamper, hang up any clean clothes, and then pick up trash. After this, make the bed and then vacuum. Cleaning your apartment doesn’t have to take a lot of time. As the holidays approach you probably don’t want to spend a lot of time cleaning everything in your apartment. 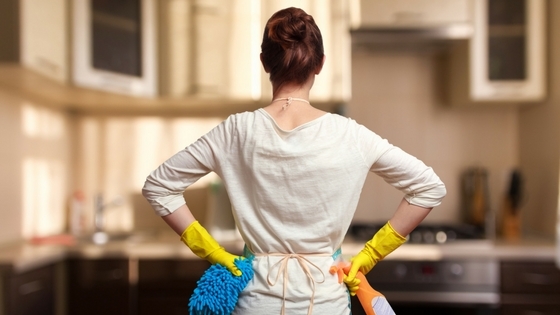 Picking up a few things and quickly wiping surfaces doesn’t take a lot of time, but it can make a huge difference — especially when you’d rather be spending time doing something else. Enjoy more time celebrating and less time stressing in your apartment this month. Let us know if you have any quick cleaning tips by sharing in the comments below. Thanks for reading!